Discussion in 'Park Construction' started by gavin, Jul 8, 2015. Nanning was an ok sort of place really. There’s nothing that really stands out about it to make it worth making a massive effort for, but it was nice enough and was an easy and cheap weekend away from here. It was also an easy +10 to the coaster count as the parks aren’t all stupidly spread out everywhere. For a city of 3 million people though, it seems strange not to have a proper theme park yet though. I really wouldn’t be surprised to see Fantawild or Wanda fixing that soon though as it seems ripe for a decent park. No news what kind of Fantawild this will be yet - Adventure, Dreamland, Oriental Heritage - but since it's the first one going in it'll be one of the first two. So far there's only a Vekoma Boomerang confirmed, but I'm sure we'll find out soon about other coasters going in. That makes 19 Fantawild parks now. yeah this one surprised me and Duane. The Boomerang popped up on a list given to the RCDB by Vekoma of future coasters. But Fantawild have made no announcements about a park. It's possible it could be a Oriental Heritage park. Jinan only has one Fantawild and it's one of those. Same with Ningbo. But yes I'd say its more likely to be an Adventure. I guess time will tell. 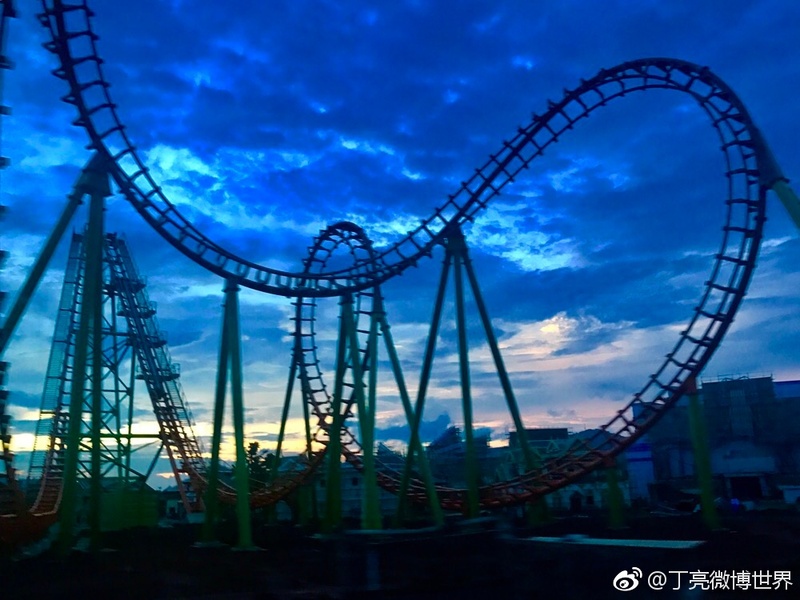 Looks like Datong is setting up for a second park too and theres a second one opening just after the first in Ningbo so that would be 21 in total. ^There's a Fantawild Adventure only 35 miles from Jinan's Oriental Heritage. Not the same city, and clearly not part of an overall resort, but definitely in the same catchment area. I also think that Euro Park being built at the same time had something to do with the choice of a very different style of park for Jinan. Nanning has no such competition. Who knows though; wait and see I guess. Very true. An Adventure would have made less sense in Jinan. Wooden coaster has gone vertical and boomerang parts are on site. Rides continue to go up. 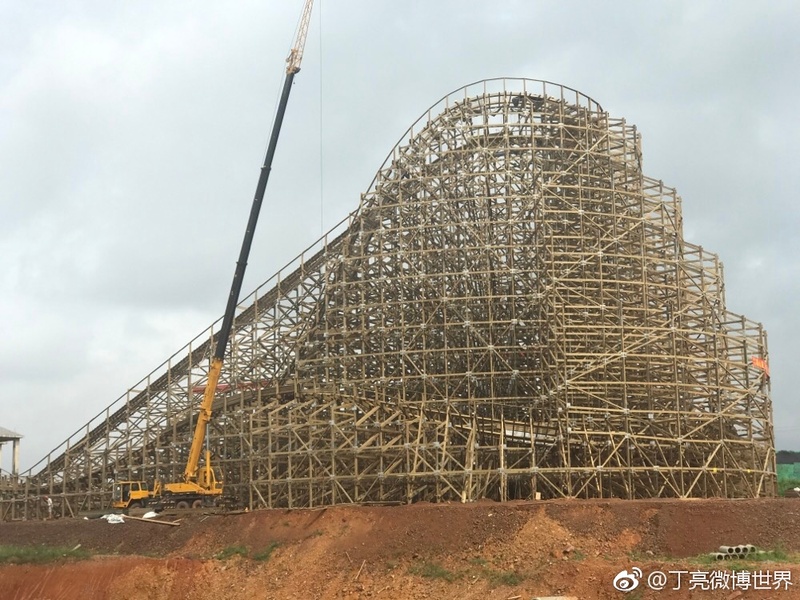 The MVR wooden coaster (a clone of Jungle Trailblazer in Zhengzhou) is about half done while the Boomerang is now complete. Any chance someone could move this over to Park construction? Sneaky, Pokemaniac and Hixee like this. I'm liking the look of the small hill after the first drop on that woodie. Just a shame the cloning has begun. If you're gonna clone something, you can clone something a lot worse! And lets face it, how many of us will ride them all? Personally I'd rather the cloning was left to the worse stuff. Leave the good stuff to be unique. It's not the first cloned woodie in China, and I really don't think it's an issue at all. Sure, it's more interesting to follow construction of a new layout, but 99.9999% of visitors to the Nanning park wouldn't have been to the Zhengzhou one. The Zhengzhou woodie is fab anyway. While yes clones are a bit annoying in a way there is nearly 800 miles between the 2 parks. thats like London to Rome. not many people will ever know. Didn't realise Jinan and Ningbo were the same. 's sake. I plan on inhaling them all as well too you. Sneaky and Jaiden M. like this. From a geeky point of view this video of the construction of the MVR wooden coaster here is amazing. Coaster Hipster, Pokemaniac, Pear and 2 others like this. ^Agreed, that was rather cool! The ride is now complete. Going to be a while before the park catches up it seems.